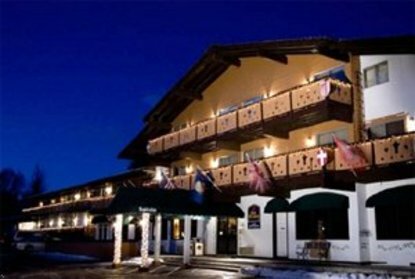 The Best Western Tyrolean Lodge is a beautiful Austrian Style Hotel overlooking majestic Bald Mountain. The 56 room inn is located in a quiet residential neighborhood steps from the bike path, yet a five minute walk puts you in the heart of downtown Ketchum featuring dining, shopping, art, nightlife and much more. Surrounded by the Sawtooth National Forest, you will find that hiking, biking, golf, fishing, horseback riding and rafting are all within your reach, reflecting the active outdoor lifestyle of the Sun Valley/Ketchum area. Our hotel incorporates today's amenities while maintaining the original Austrian d?cor. We invite you to "step back" into the classic, old-world charm of the Best Western Tyrolean Lodge, and we look forward to visiting with you and your family on your next trip to Sun Valley/Ketchum.